Today, just seven days after the smartphone’s design was first revealed, an alleged spec sheet for the upcoming Motorola P40 has leaked out online. And, if it’s accurate, the device could be quite the upgrade over the current-gen Motorola P30. Kicking things off with the most important detail of all, the new mid-range offering looks set to come equipped with Qualcomm’s new Snapdragon 675. This, according to the info, will be paired with a very respectable 6GB of RAM and the choice of either 64GB or 128GB of internal storage. Elsewhere on the spec sheet sits a main 48-megapixel rear sensor that will be paired with a secondary 5-megapixel sensor complete with an f/1.75 aperture. Both sensors will sit alongside a dual-tone LED flash and will support AI enhancements. Speaking of which, these software improvements will also be compatible with the front-facing 12-megapixel selfie snapper. As previously revealed, a 6.2-inch display will be part of the package. It will allegedly be paired with a very respectable 4,132mAh battery and stock Android 9 Pie straight out of the box. Also present will be NFC support, a bottom-firing speaker, and a USB Type-C port. When it comes to the smartphone’s release date, details remain unclear at the moment. However, with MWC 2019 just under two months away, there’s a high chance this new device will be unveiled at the event. However, the Motorola P40 name is unlikely to be used. 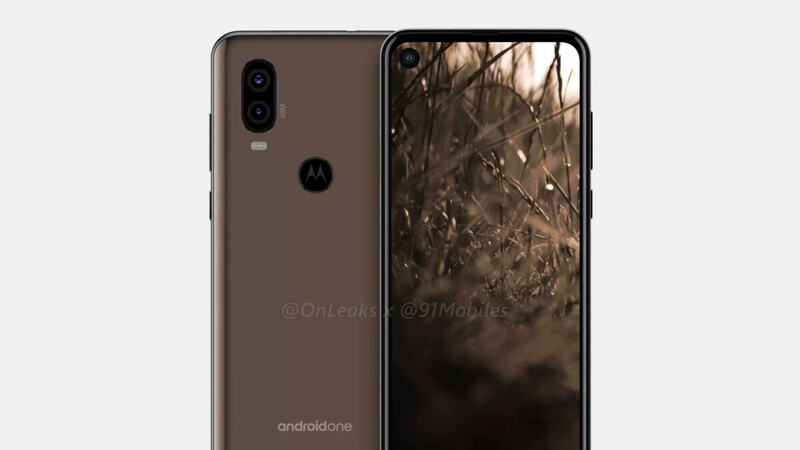 Instead, it’ll probably become part of the Motorola One family. Why do they insist on putting their logo on the front? This is a pretty impressive midranger coming from Moto.